The 8 Best Haunted Attractions in Delaware! Delaware has no less than five award-winning scare events, so the state knows a thing or two about Halloween haunts. Many of them benefit great causes, too, like cancer research or supporting our troops. So go and get your socks scared off and know you are doing it for a good cause. 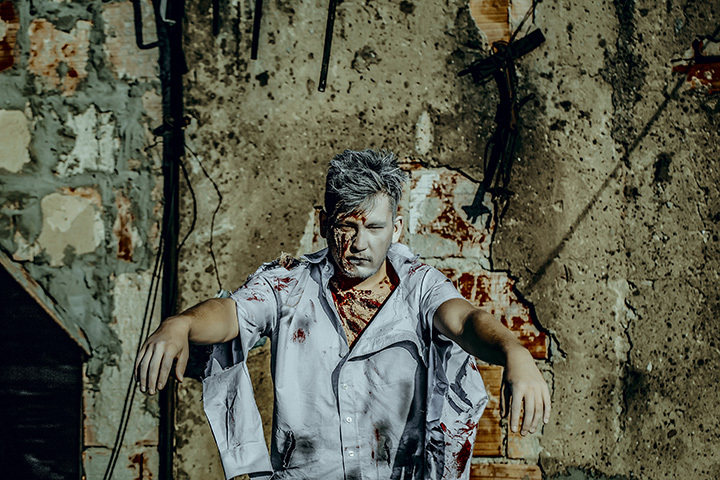 Just follow this guide to the best haunted attractions the state to experience a howling good time this All Hallows’ Eve. Frightland is a “scream park” celebrating over two decades of screams and terror. Featuring eight attractions, including haunted houses, hayrides, a prison room, and the guided paranormal investigation of a nearby well-known location of ghostly activity. Frightland has been featured on the Travel Channel, and a portion of ticket proceeds will be donated to leukemia research. The story behind Slaughter House Farm is that it is the home of an escaped mental patient who captures passersby and leaves abandoned cars in the wake. Blood-curdling scream, gunshots, and loud music can be heard, but police refuse to investigate. Investigate the mysteries for yourself, and don’t get caught by the living scarecrow of Stalkers Field. Proceeds will go toward Operation We Care, which supports our troops in the field. Screams at the Beach is a scream park that offers six award-winning attractions, plus the brand new “Zombie Paintball” event. Upon entering the town of “All Hallows,” you may be greeted by the ghosts and tortured souls that wander the land. The Hallow collects these pour souls, and you may see him should you survive the indoor & outdoor haunts, such as haunted houses, trails, corn fields, escape rooms, and more. The goal of this ghoulish operations is to raise money for the American Cancer Society, the Boys and Girls Club of Western Sussex, the Delmar Fire Department, and other local organizations. Meet Pin Head, Dr. Death, the Butcher and the Cobber. Watch in wonder as the “Vortex” spins up your nightmare. The quaint town of Milton has a secret. In late October it becomes a hotbed of haunts, as residents and guests try to survive a weekend of epic entertainment. Experience magic shows, mentalists, horror movies, live music, costumed actors, and activities. Rub elbows with the undead for one weekend only in this freakish little town. Guests will be escorted by a guide through the rooms and halls of the Clark House where they encounter the demons and ghosts that live there. You are sure to love the Witches' Den and the Hellevator. Participate in a séance, meet a mad scientist, and beware of the graveyards. Hockessin Haunted House continues to terrorize locals and visitors, and all proceeds benefit CompAnimals Pet Rescue. Opened in 1989 by the Laurel Volunteer Fire Department, Cemetery House is the self-proclaimed “longest continuously running and most exciting haunted house on the Eastern Shore.” Advertised as “Wickedly Scary,” the house features ghouls, zombies, and other nightly creatures. Entertainment is offered while you wait to enter the haunted corn maze. Once through the maze, you can explore the underground tombs then the house, or the house then the tombs. Either way, you won’t escape unscathed. Offering a haunted trail with plenty of thrills and chills, Wicked R Western Production is a 61-acre vacation destination by day. But by night during Halloween, it becomes inhabited by evil ghosts and ghouls. Both scary and funny, the trail won best haunted trail last year, and the naturally creepy woods will keep you and ask you on edge as the demons come in for a closer look.